Kasey Anderson’s hard road back to rock ‘n’ roll is a journey that he wasn’t sure he could, or even wanted to make. Alcohol and substance abuse, addiction, bipolar disorder, self-delusion, desperation, deceit, fraud, conviction, prison, sobriety, probation, recovery, amends and restitution are a deeper well of troubles than most songwriters accrue in a lifetime, let alone before they turn thirty-four. Released from prison, he edged back into playing music as an artistic outlet rather than an onramp to a former career, and with the support of friends and fans, his writing and performances have grown over the course of a couple of years from a restorative avocation into an ongoing concern. Fans who can look beyond the damage Anderson wrought will find an artist whose commitment to music was deepened by the limited opportunities he found in prison. The physical and mental isolation of incarceration taught Anderson to use his imagination rather than leaning solely on experience, and the endless hours of self reflection allowed him to ponder questions of redemption. Patience has replaced drug- and bipolar-induced binges, letting his songwriting craft flow in whatever time it naturally takes. That said, his passion for what he writes is unhindered, and when he steps up to the microphone, there’s an urgency to express what he’s learned about himself. The album opens with the chaos that’s engulfing the world, but quickly turns personal as Anderson reflects on the freedoms and indiscretions of youth, suffers the debilitating “Lithium Blues,” and takes a sober look at the personal turmoil that consumed him. Yet even as he thinks back, he’s careful not to be trapped by the past, nor, perhaps owing to his own track record, measure others by his personal yardstick. The solemn “Geek Love” paints a touching portrait of sideshow freaks (which, for the few who know it, pairs beautifully with the Babylon Minstrels’ “Gibsonton”), and demonstrates Anderson’s growing ability to parlay seeds of personal experience into rich fictional stories. 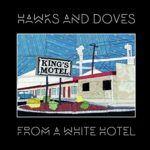 Having disbanded in 1998, only a year after the release of their Steve Earle-produced (and recently reissued) second album, High Hat, these Americana pioneers went their separate ways for more than fifteen years. The group reunited in 2014 for live dates, and a 2015 album of new material, Roots Rock & Roll, showed their premature ending left plenty of juice for an encore. That encore has now extended to a second reunion album, with vocalist/songwriter Kenny Roby and bassist Rob Keller joined by multi-instrumentalist Luis Rodriguez and drummer Dan Davis. As good as the first reunion album sounded, this second is even more vital and energized. 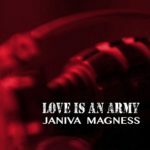 Janiva Magness had an artistic coming out with her self-penned 2014 album, Original. Though she’d dabbled in songwriting before, the album marked a turn from interpreter of other people’s stories to essayist of her firsthand emotions. She continues that direction with her latest, co-writing four of the album’s twelve tracks, and selecting material from collaborator and producer Dave Darling, as well as Paul Thorn and others. 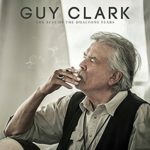 She also welcomes several guests to the album, including vocalist Delbert McClinton on “What I Could Do,” harmonica legend Charlie Musselwhite on “Hammer,” and most surprisingly, Poco pedal steel player Rusty Young on the shuffle “On and On.” The latter, taken with Doug Livingston’s dobro on the Western-tinged “Down Below,” shows off the range of roots Magness has been exploring. A West Texan singer-songwriter named after Kris Kristofferson has a lot to live up to. But there’s a soulfulness in Phillips’ voice, the sort you hear on deep Van Morrison tracks, and a redemptive faith in his songs that suggests Bruce Springsteen. 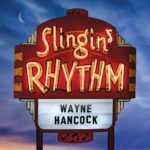 His album ponders the end of a relationship, and though written in the first person, the stories are biographical rather than autobiographical. The split viewpoint lends a philosophical angle that musters a friend’s pain and outrage from an observational angle. The songs battle the lethargy of aftermath, ponder second chances to end things cruelly, and find their way to forgive and move on to what could be renewal. “Had Enough” opens the album with a moment of realization that signals the oncoming emotional thaw. A growing understanding of just how unraveled he’d become leads to confession and confrontation as he begs for reaction, castigates himself and looks for an exit. 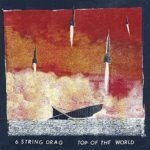 It’s been fifteen years since Hadacol founder Greg Wickham dropped a new album. He hadn’t intended to leave the music industry, but a break blossomed into marriage and children, and though he continued to make music, he stayed away from the business. But it was the family that led him towards hiatus that also led him back to the studio, as he sought to complement his pre-parenthood work with songs created as artifacts for his children. And with that motivation, he began writing the sort of contemplative and mortal songs one couldn’t feel or even imagine as a 20-something singleton. Think of it as parental advice from a rock ‘n’ roll father whose adolescent excesses taught him not to carelessly blunder into a banal midlife. 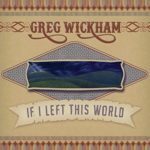 On board with Wickham is his brother and Hadacol co-founder, Fred, along with the group’s former bassist Richard Burgess, who combine with Wickham’s voice to produce a familiar sound. It’s not Hadacol 2.0, but something grown from the same roots in a different time and emotional place. The blue country rock “How Much I’ve Hurt” would have fit easily into Hadacol’s repertoire, and you’ll hear the waltz-time of the band’s “Poorer Than Dead” in the opening “Angel of Mercy (Song for Sophie).” The latter, however, replaces the former’s downbeat surrender with an expectant tone of home, and stretches out the backing with organ and horns. 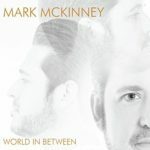 Austin-based Mark McKinney inhabits that special nation of singer-songwriter that is the Texas music circuit. Though he’s gained recognition outside the Lonestar State, notably through song placements with NASCAR and ESPN, it’s his home state that supports the bulk of his extensive annual touring. 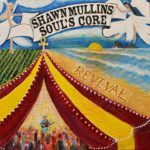 His fifth solo album (he’d previously led the roots-rock band Cosmic Cowboy) will remind you of circuit stalwarts like Jack Ingram, Pat Green, Cory Morrow, Charlie Robison and Kevin Fowler, the latter of whom McKinney’s written for. 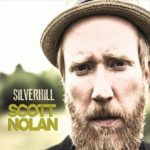 Produced with his brother Eric, the record is both rootsy – acoustic, electric and slide guitars, mandolin, fiddle, harmonica and drums – and modern at the same time. It’s a clever sound that could hook Nashville fans without alienating the Austin base.